Baby P LOVES waffles and considering they are quick and easy in the morning, I began to love them too. Baby P eats them with maple syrup or agave nectar and I even spread almond butter on them with a little agave for lunch. Yummy -Quick- Healthy!! Drinking Lemon Water vs. Coffee in the morning?? P.s. Don't leave the lemons in the water especially if they are not organic. What is on the skin can seep into your water. in a drive to benefit the Westside Food Bank of Los Angeles. Size 4t & 5t Diapers especially needed. Dress the kids in costume! Anyone is welcome, so pass the word & invite friends. Hope to see you there! I had seen this store many times on my way to Costco and was very curious?? The other day my friend M and I went. My friend M knows soooo much about many of the products which in turn was priceless. It's kinda like you want to "sample" everything before you actually commit to buying it so... by going with someone who is so knowledgeable was awesome!! THANK YOU SO MUCH M for going with me!!! You're the BEST! I can't wait to start sharing all the wonderful products I was introduced to there. My friend Rebecca who blogs at :http://www.sharingmama.com recommended this to me and it is AWESOME!! It is great hand sanitizer and TOTALLY NATURAL. This should come in really handy right about now. You can get this at Whole Foods for approx. $5. Does cooking with CILANTRO help you excrete TOXIC METALS?? of the first known substances that mobilizes mercury from the CNS. After Cilantro consumption, rapid changes in the brain and spinal chord can be seen when using autonomic response testing, and the appearance of mercury in more peripheral tissues (liver, intestines) becomes evident as a result of mercury mobilization. Public places are the most likely places that infants and toddlers can be exposed to the swine flu. Limit contact with anyone who appears to be sick and be sure and wash your toddler’s hands frequently. 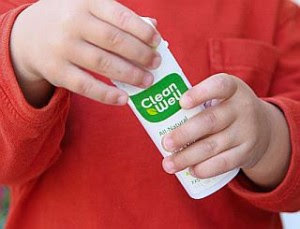 Hand sanitizer can be used to prevent the spread of germs while out in public, but it is important to make sure that infants and toddlers do not put their hands in their mouths after using hand sanitizer because many of those products contain ingredients that are toxic if ingested. Dr. Vinay Goyal is an MBBS,DRM,DNB (Intensivist and Thyroid specialist) having clinical experience of over 20 years. He has worked in institutions like Hinduja Hospital , Bombay Hospital , Saifee Hospital , Tata Memorial etc.. Presently, he is heading our Nuclear Medicine Department and Thyroid clinic at Riddhivinayak Cardiac and Critical Centre, Malad (W). 3. *Gargle twice a day with warm salt water (use Listerine if you don't trust salt). *H1N1 takes 2-3 days after initial infection in the throat/ nasal cavity to proliferate and show characteristic symptoms. Simple gargling prevents proliferation. In a way, gargling with salt water has the same effect on a healthy individual that Tamiflu has on an infected o ne. Don't underestimate this simple, inexpensive and powerful preventative method. The Mosy Amazing Princess Wall Mural!!! 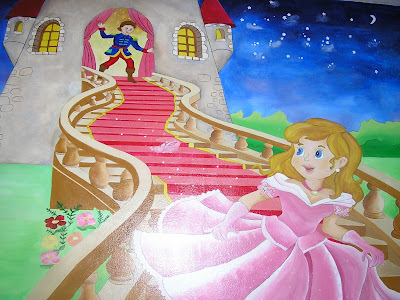 My friend Aimi Edelman is a Kids Muralist and just completed this AMAZING wall mural in her 2 yr old daughter's bedroom. It looks unbelievable when you see it on the wall. It is LIFE SIZE and BEAUTIFUL!!! Ami is an incredible artist. I would recommend her to anyone looking for something small or large in their children's bedroom. We had SUCH a special treat the other day when Yvonne Condes with Yvonne's Gluten-Free Goodies came to our playgroup and brought some of her AMAZING and HEALTHY GF Goodies. WOW!! These were soooo yummy. 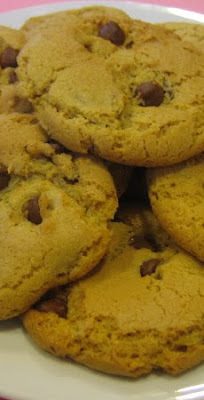 She let us sample her Agave Sweetened Mixed Berry Muffins, Pumpkin Apple Muffins, and Chocolate Chip Cookies. Thank you so much Yvonne!! Everyone could not stop talking about how everything tasted so gourmet and was so healthy at the same time. You are such a talented baker. I would highly recommend her Goodies for any occasion. Yvonne has always loved cooking, but she didn’t discover gluten-free baking until her husband was diagnosed with Celiac Disease in 2000. It took almost a year for his doctor to diagnose him and by that point he was very sick. When she found out that a dietary change could make him better she immediately learned all she could about living gluten-free. After spending so much time going from grocery store to grocery store searching through the small amount of gluten-free baked goods available, she decided it was time to make her own. She started experimenting with whole grain flours and healthy, organic ingredients. She came up with vegan fruit pies, cakes made with rich, organic cocoa, or natural vanilla, and cookies with organic, whole-grain flour and sugars. As the mother of two active young boys, Yvonne is mindful of what she puts in their bodies. Our gluten-free, casein-free offerings are carefully prepared with attention to finding only the best ingredients. My friend B referred this recipe to me and I have made it a bunch of times ever since. It is sooo good and great way to get in a helping of fish. In a large saute pan, heat the oil over moderate heat. Add the shallots and cook, stirring occasionally, until beginning to brown, 3 to 5 minutes. Add the curry paste and cook, stirring, until fragrant, about 30 seconds. Add the chicken broth, coconut milk, 1/2 teaspoon salt and simmer until reduced to 2 cups, about 5 minutes. Season the halibut with 1/4 teaspoon salt. Arrange the fish in the pan and gently shake the pan so the fish is coated with the sauce. Cover and cook until the fish flakes easily with a fork, about 7 minutes. Arrange a pile of steamed spinach in the bottom of 4 soup plates. Top with the fish fillets. Stir the cilantro, scallions, and lime juice into the sauce and season, to taste, with salt and pepper. Ladle the sauce over the fish and serve with rice. 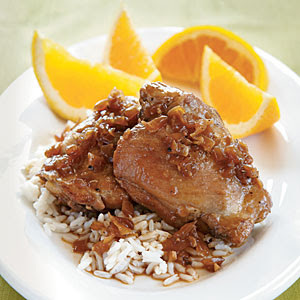 This is such an EASY and TASTY recipe for weeknights. It only takes about 15mins to prepare and the longer it sits in the pot the better it gets. I have noted my changes below to make the prep even easier and recipe even healthier. 1. Heat oil in a large nonstick skillet over medium-high heat. Add chicken to pan; sauté 4 minutes on each side or until browned. Remove chicken from pan. Add onion to pan; sauté 3 minutes. Add garlic; sauté 1 minute, stirring frequently. 2. Return chicken to pan. Add soy sauce and next 5 ingredients (through bay leaf); bring to a boil. Reduce heat to medium; cover and cook 12 minutes. Uncover and cook 20 minutes or until chicken is done and sauce thickens. Discard bay leaf. Serve over rice. Are Peanuts and Peanut Butter really bad for you? After many years (and wasted jars $) of being told by so many I should switch to ALMOND BUTTER over PEANUT BUTTER, I finally made the switch. I just could not get into Almond Butter for some reason. About a month ago my, soooo, sooo smart friend S gave me the idea to add a little honey or agave nectar to the almond butter which makes it a little more paletable and VOILA!!! IT WORKED! It’s America’s most iconic, creamiest, dreamiest snack around. But beware: not all peanut butter is good for you. Most of what you’ll find at your grocery store is loaded with sugar, sodium and hydrogenated oils. Swap regular processed peanut butter for the natural variety with the oil floating on top. It’s a good move because the natural variety doesn’t contain artery-clogging trans fats that the processed types do. Even better, spread on the almond butter instead! Most nuts are good for you, but study after study shows that almonds are rich in omega oils and may help fight heart disease and cancer. And since research shows that peanuts are not as nutritious as once thought, you’ll be doing your body a favor by making a healthier swap. Peanuts are said to be carcinogenic (cancer causing) and contaminated with pesticides. Fungus can also be found growing in the shells, and they have fewer essential omega oils than almonds. Antiperspirants/Deodorants and Breast Cancer - Aluminum Based Compounds? What are you putting on your skin EVERYDAY? I'm on the hunt for the BEST "aluminum free" antiperspirant/deodorant?? Does anyone know of one that's tried and true? Old Spice High Endurance Pure Sport - I heard this one is good? Jason Natural Products Fragrance Free Deodorant - I haven't tried this one yet. Can antiperspirants or deodorants cause breast cancer? Articles in the press and on the Internet have warned that underarm antiperspirants (a preparation that reduces underarm sweat) or deodorants (a preparation that destroys or masks unpleasant odors) cause breast cancer (1). The reports have suggested that these products contain harmful substances, which can be absorbed through the skin or enter the body through nicks caused by shaving. Some scientists have also proposed that certain ingredients in underarm antiperspirants or deodorants may be related to breast cancer because they are applied frequently to an area next to the breast (2, 3). What do scientists know about the ingredients in antiperspirants and deodorants? Aluminum-based compounds are used as the active ingredient in antiperspirants. These compounds form a temporary plug within the sweat duct that stops the flow of sweat to the skin's surface. Some research suggests that aluminum-based compounds, which are applied frequently and left on the skin near the breast, may be absorbed by the skin and cause estrogen-like (hormonal) effects (3). Because estrogen has the ability to promote the growth of breast cancer cells, some scientists have suggested that the aluminum-based compounds in antiperspirants may contribute to the development of breast cancer (3). Some research has focused on parabens, which are preservatives used in some deodorants and antiperspirants that have been shown to mimic the activity of estrogen in the body’s cells (4). Although parabens are used in many cosmetic, food, and pharmaceutical products, according to the FDA, most major brands of deodorants and antiperspirants in the United States do not currently contain parabens. Consumers can look at the ingredient label to determine if a deodorant or antiperspirant contains parabens. Parabens are usually easy to identify by name, such as methylparaben, propylparaben, butylparaben, or benzylparaben. The National Library of Medicine’s Household Products Database also has information about the ingredients used in most major brands of deodorants and antiperspirants. This database is available at http://householdproducts.nlm.nih.gov/index.htm on the Internet. The belief that parabens build up in breast tissue was supported by a 2004 study, which found parabens in 18 of 20 samples of tissue from human breast tumors (5). However, this study did not prove that parabens cause breast tumors (4). The authors of this study did not analyze healthy breast tissue or tissues from other areas of the body and did not demonstrate that parabens are found only in cancerous breast tissue (5). Furthermore, this research did not identify the source of the parabens and cannot establish that the buildup of parabens is due to the use of deodorants or antiperspirants. More research is needed to specifically examine whether the use of deodorants or antiperspirants can cause the buildup of parabens and aluminum-based compounds in breast tissue. Additional research is also necessary to determine whether these chemicals can either alter the DNA in some cells or cause other breast cell changes that may lead to the development of breast cancer. What have scientists learned about the relationship between antiperspirants or deodorants and breast cancer? In 2006, researchers examined antiperspirant use and other factors among 54 women with breast cancer and 50 women without breast cancer. The study found no association between antiperspirant use and the risk of breast cancer; however, family history and the use of oral contraceptives were associated with an increased risk of breast cancer (8). Because studies of antiperspirants and deodorants and breast cancer have provided conflicting results, additional research is needed to investigate this relationship and other factors that may be involved. Where can someone get more information on breast cancer risk? People who are concerned about their breast cancer risk are encouraged to talk with their doctor. More information about breast cancer risk can be found on the NCI's Cancer Risk: Understanding the Puzzle Web site. This interactive Web site, which includes information about how to reduce breast cancer risk, can be accessed at http://understandingrisk.cancer.gov on the Internet. U.S. residents may wish to contact the NCI's Cancer Information Service (CIS) (see below) with any remaining questions or concerns about breast cancer. Inquirers who live outside the United States may wish to contact the International Union Against Cancer (UICC) for information about a resource in their country. The UICC Web site is located at http://www.uicc.org on the Internet. Also, some countries have organizations that offer services similar to those of the U.S. CIS. A list of international cancer information services can be found at http://www.icisg.org/meet_memberslist.htm#full on the Internet. This is one of the BEST speeches I have heard as "newer" parent. "If you're going to have childhood dreams, I recommend you have good parents." "Mothers are people who love you even when you pull their hair." "My parents taught me the importance of people vs things." CUTEST Video ever!!! Boy and his Dog!